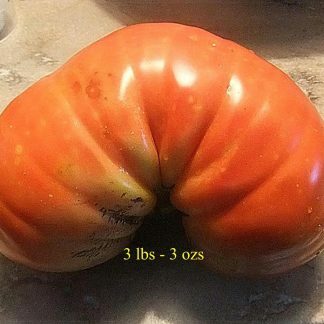 “Belmonte (Belmonster)”: These seeds come from a large tomato that weighed in at 3 pounds and 3 ounces. It was not cultivated, nor was it pruned for a single stem or anything special. 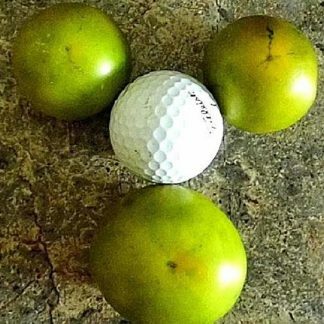 The plant also produced a few other fruit weighing more than 2 pounds and several more at more than a pound and a half. 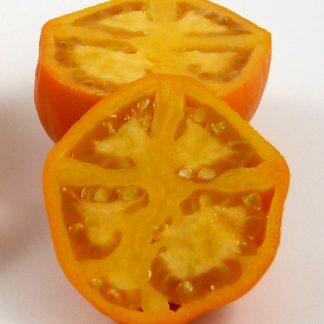 It has excellent potential to produce very large fruit if pruned to one stem and topped to only one fruit. 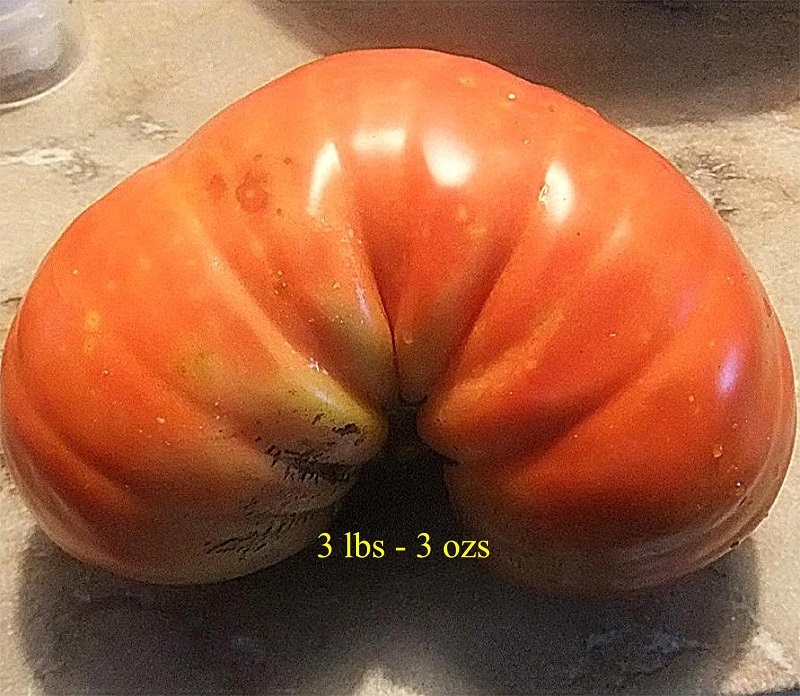 Otherwise it is still a great tasting tomato.